I have a seasonal vegetables chart hanging on the wall in front of the table where I draw. Combined with a sense of post-bike riding hunger, I was compelled to quickly sketch some veggies. 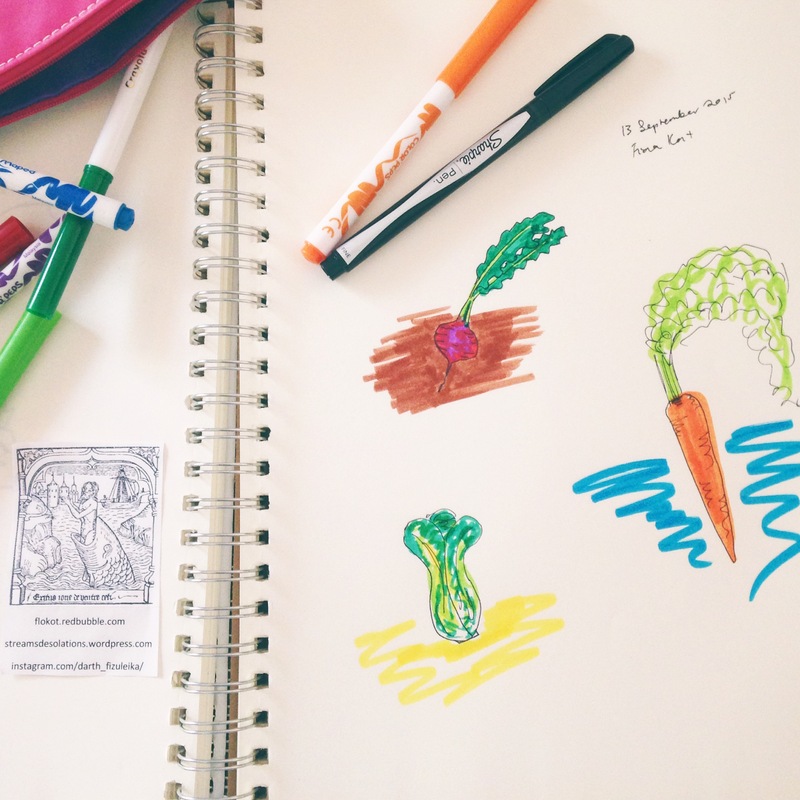 Posted in art and tagged beetroot, bok choy, carrot, drawing, felt tip marker, fineliner, food, garden, handdrawn, illustration, ink, pencil, sharpie, sharpie art, sharpie pen, sketchbook, sketching, vegetables on September 15, 2015 by Fiona. The idea for this drawing came to me while looking at photos of horses running across beaches and listening to the Viking-themed melodic death metal band Amon Amarth. I call this creature a Narwhalicornceros* and I hope to share the finished product on my RedBubble portfolio – once I can wrest control of the computer with the scanner away from my Minecraft-playing son. *I imagined and invented this, and don’t know of anything similar that other people have created, though I concede that the concept of a Merhorse probably isn’t that original! Edit (21 September 2015): “Narwhalicornceros” is now available for sale on a variety of printed products at my RedBubble Portfolio. This is an A3-sized Bayeux tapestry-inspired ink and pencil illustration, which I drew as a profile picture for my ye olde MySpace account. Wow, that was a long time ago! 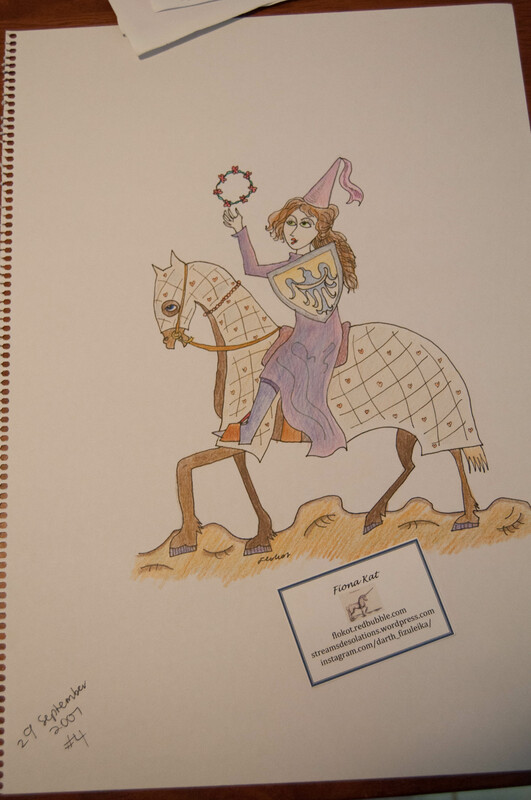 Posted in art and tagged art, coloured pencil, decluttering, drawing, fineliner, horse, horse art, ink, mediaeval, medieval, pencil, sketchbook, sketching, woman on July 28, 2015 by Fiona. Ink fineliner and pencil sketches, playing around with Australian native animal sketches. 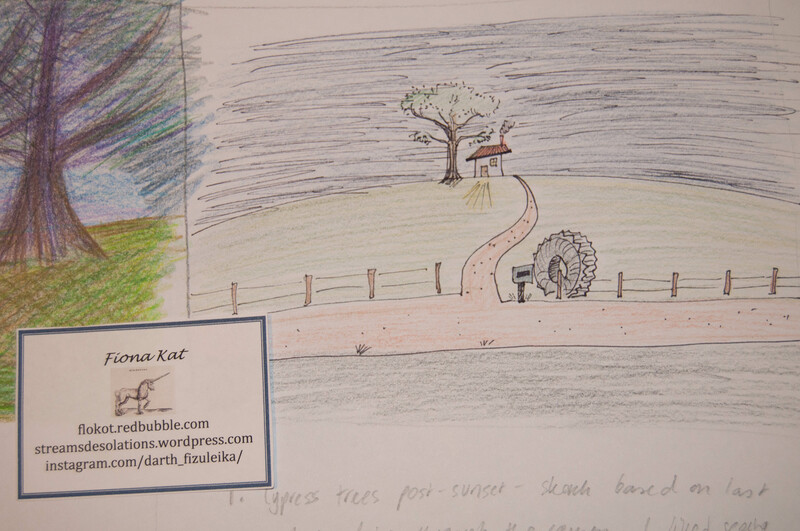 Shown here are an echidna and a wombat. Wombats are great, they’re like nature’s bulldozers! 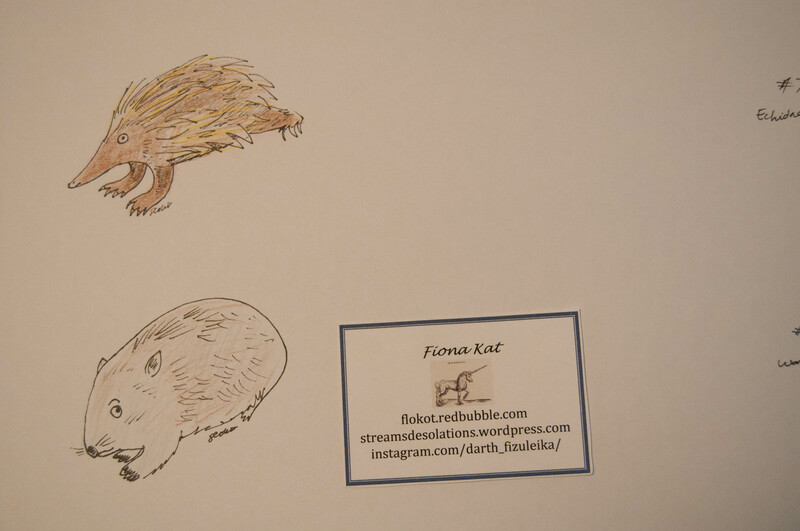 Posted in art and tagged art, australian, australiana, coloured pencil, decluttering, drawing, echidna, fineliner, ink, native fauna, pencil, sketchbook, sketching, wombat on July 21, 2015 by Fiona.